MIAMI – It’s entirely possible that, nine games into the season, FAU once again has a quarterback battle. But neither coach Lane Kiffin or quarterback De’Andre Johnson were interesting in discussing the possibility after Johnson entered in relief of starter Chris Robison and rallied FAU to 42 points and a win over rival FIU in the annual Shula Bowl. Both elected to soak in the victory. Johnson lost a quarterback battle in both of the last two fall camps. Last season surgery to remove a blood clot in his arm ended Johnson’s season after only one game. This year in relief of starter Chris Robison Johnson’s led successful drives, though most of the yardage came on the ground. On Saturday the Johnson-led Owls mostly stuck to the ground again, completing 4-of-6 passes for 67 yards, but he did hit one huge pass. With the score tied at 14 early in the second half and the Owls’ facing a fourth-and-10, Johnson scrambled forward in the pocket before locating receiver Jovon Durante streaking down the field. Johnson lofted a pass to the back of the end zone where Durante pulled up barely shy of the end line and, after the defender passed, cradled the ball for a 28-yard touchdown. Johnson was credited with a second touchdown pass on jet sweep to Durante. Technically, the play is recorded as a pass because Johnson pitched the ball about two feet forward but Durante, who first raced to the left sideline before traversing all the way back across the field for a 24-yard score, did all of the heavy lifting. Kiffin said Johnson took extra reps in practice this week and the Owls planned to use him at some point on Saturday to spell Robison, who is still recovering from a sprained ankle incurred two weeks ago. “He answered the call so we stayed with him,” Kiffin said of Johnson. Johnson carried the ball seven times for 50 yards, his first touch being the most impressive. Entering the game midway through the second quarter, Johnson raced around left end for a 29-yard run, sparking a drive that culminated in a four-yard Devin Sinlgetary touchdown run. A redshirt junior, Johnson said it’s up to Kiffin as to whether he’ll make the first start of his career in next week’s game against Western Kentucky. Turning Point: FAU scored what’s becoming a customary touchdown on its first possession, but the offense started to stagnate after that. Inserting Johnson behind center jolted the offense to life. The Owls played with better tempo, and FIU clearly wasn’t prepared to stop the added threat of Johnson’s legs. Aside from maybe that first quarter against Bethune-Cookman, this second half marked the most explosive the Owls looked over an extended period of time all year. It’s customary at the end of Shula Bowls to name an MVP from each school. Late in the fourth quarter the host school usually polls the media to pick the winners, but that didn’t happen on Saturday. That’s a shame because it would have been an interesting choice between Johnson, who ignited the offense, and Singletary, who appeared unstoppable at times en route to 184 yards and three touchdowns. Look for game MVPs to be announced belatedly in the coming days. Singletary simply keeps climbing the NCAA record book. His three rushing touchdowns on Saturday night give Singletary 62 for his career. That effort vaults Singletary past Oregon’s Royce Freeman and into the Top 10 in NCAA history – and he’s only a junior. Singletary’s currently tied at No. 9 with former San Diego St. running back Donnel Pumphrey, one behind of Ron Dayne. 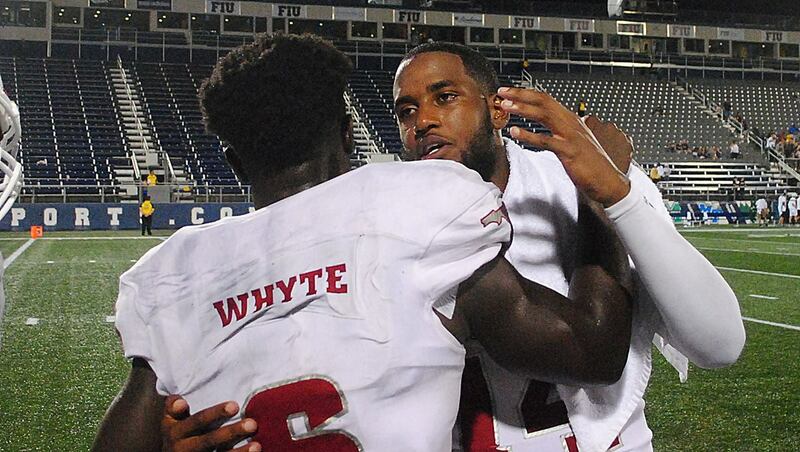 The emphasis on getting running back Kerrith Whyte involved in the game early continues to pay dividends for FAU. Making the most of his early rest, Singletary grew stronger as the game advanced, pin-balling off some would -be tacklers and outrunning others. Meanwhile, White carried 17 times for 165 yards. Best 1-2 punch in C-USA. FAU’s defense, like most defenses, plays significantly better when the offense gives it a lead. 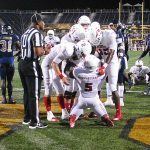 The Owls front seven played well during Saturday’s first three quarters, but the entire unit turned its play up a notch when FIU had to throw, leading to FAU’s lone sack of the day (Ernest Bagner) and two interceptions (Jalen Young and Ocie Rose). With home games against Western Kentucky (1-8, 0-5) next week and Charlotte (4-5, 3-2) in the regular season finale, the Owls now have a clear path to bowl eligibility. 1 – Jet sweep “catch” covering 35 yards for Willie Wright, who left the game in the first quarter after a viscous helmet-to-helmet hit gave him a concussion. 5 – Touchdowns on five red zone chances for FAU. 8 – Tackles by both Jalen Young and Hunter Snyder to lead the Owls. 9.7 – Yards per carry averaged by Kerrith Whyte on 17 opportunities. 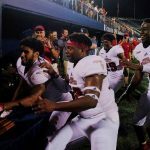 12 – Victories for FAU against only 4 losses in Shula Bowl play. 31 – First downs for FAU. FIU only managed 19. 50 – Career wins for Lane Kiffin as a head coach. 439 – Rushing yards for FAU. 596 – Yards of total offense for the Owls. 18,468 – Announced attendance, which might only have been an exaggeration of about 13,000. Up Next: The Owls return home to face Western Kentucky on Saturday. Kickoff is scheduled for 5 p.m.